Fred the son of Fred K. and Emma A. (Madsen) Jackson, was born January 24, 1922, at Forest City, Iowa. He received his education at Liscomb High School, graduating in 1942. He then served in the Army in Korea. After returning to the states, he worked for Welden Brothers, in Iowa Falls, doing bridge construction. He also drove livestock trucks for Jackson Brothers, in Marshalltown. He worked on the family farm throughout his lifetime. 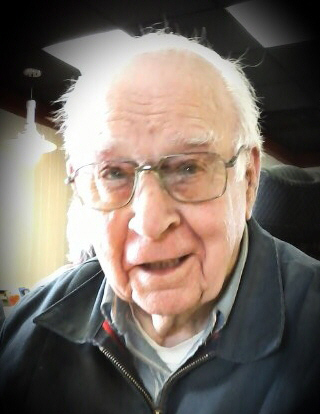 He lived in Marshalltown the remainder of his adult life. He never married, choosing to live with and care for both his parents until they passed away. He was very devoted to his family. He attended The First United Methodist Church, in Marshalltown. He was fascinated with the construction of bridgework and enjoyed watching the progress on new projects in the area. In his final hours he was surrounded by his immediate family members. Fred is survived by three sisters: Ardell (Harold) Cline, Nellie Hanegan and Betty Ann Flowers, all of Marshalltown; seven nephews, two nieces and numerous great and great-great nephews and nieces. He was preceded in death by his parents, Fred K. and Emma A. (Madsen) Jackson; two brothers, Ralph Jackson, of Garwin, Iowa and Albert Jackson, of Marshalltown; one nephew and one niece.